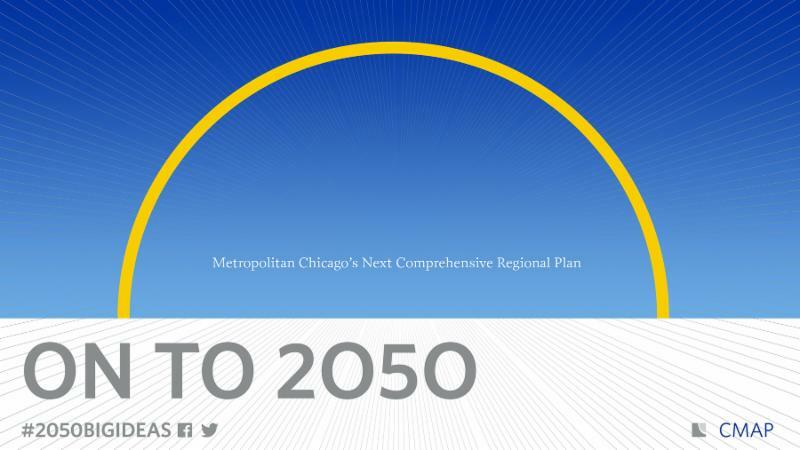 Chicagoland’s new regional plan, called “ON TO 2050,” has plenty of good ideas on paper to tackle the problem of too many cars and traffic crashes, but it lacks the mechanisms, funding and leadership to actually implement a new mobility future and move away from the car-centric status quo. The plan was prepared and approved by the Chicago Metropolitan Agency for Planning (CMAP), which is run by a collection of committees comprised of representatives of local, state, regional and federal governments. Previous regional plans have laid out similar goals, but a recent analysis by Active Trans shows the region is just as car dependent today as it was in 1980. Moreover, driving has increased four times faster than the population since 1980. The over-reliance on cars and driving alone continues because the state and most suburbs build communities and fund transportation in ways that make cars the only viable choice for most travel. For example, road projects spearheaded by the Illinois Department of Transportation account for the lion’s share of federal transportation spending in metro Chicago. In addition, the state spends virtually none of its own money on biking and walking, and state support for transit was cut by more than 15 percent since 2016. Similarly, nearly all transportation spending by suburbs and counties in the region is for road projects to move cars. Sign a petition for a dedicated Bike Walk Fund of at least $50 million (2 percent of state transportation spending) in Illinois’ annual budget. As a result, even when CMAP plans call for alternatives to driving, these ideas take a back seat to road projects that lead to more driving and compete with alternatives. This is demonstrated in the multi-billion dollar plans to expand I-55 and I-290 included in ON TO 2050. This car-centric mentality ignores decades of research and experience showing that roadway expansion doesn’t provide lasting congestion relief and makes our region less healthy, sustainable and equitable. It also ignores the need for the Chicago region to embrace a new mobility future that makes it easier and cheaper to swap cars for public transit, shared-use ride services, walking and biking. With fewer people driving alone, we will save lives, reduce congestion and increase the region’s economic competitiveness and equity. A recent decision at CMAP to make dedicated biking and walking projects ineligible for $40 million dollars annually of federal Surface Transportation Program (STP) dollars is another example of this car-centric approach. Most regions already spend STP funds to support a multi-modal set of projects. Until recently in the Chicago region, these funds were passed through to the City of Chicago and the suburban councils of government, with suburbs spending nearly all their STP money on roads. Due to pressure from the federal government to comply with existing law, CMAP approved setting aside between 8 and 15 percent of the region’s STP dollars in a new Shared Local Fund over the next five years. In making the change, the suburban CMAP members insisted that bike and pedestrian projects be ineligible for these funds to reduce competition with the road projects they prefer. We need to let our elected officials know this car-centric approach is unacceptable. Underneath ON TO 2050’s “new mobility” veneer remains an entrenched old mobility bureaucracy led by the suburbs and IDOT. That won’t change until mayors and village managers from the suburbs, and the governor, embrace the future and prioritize safer and more efficient modes of travel.